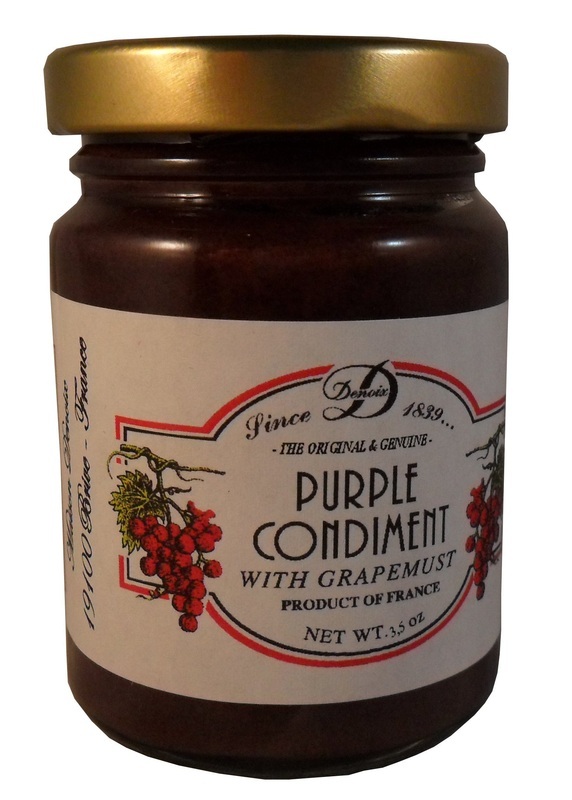 French purple mustard made with grape must. This surprising mustard develops flavors of grapes and ginger bread. A 14th century recipe perpetuated by the House of Denoix founded in 1839. This tradition of excellence has been handed down through the generations and today Denoix’s pride itself on using only the finest ingredients to produce the authentic taste. Grape must, mustard seeds, wine, vinegar, water, salt, spices, sulfites. -used to lift a sauce with a simple swirl.